TransAlta, ATCO and Capital Power will receive a total of $97 million in annual transition payments over the next 14 years to compensate them for closing down their coal-fired power plants by 2030, the government announced Thursday. TransAlta, ATCO and Capital Power will receive $97 million in annual transition payments over the next 14 years to compensate them for closing down their coal-fired power plants by 2030, the government announced Thursday. The province also said it has settled its lawsuit over power purchase agreements with Capital Power and reached tentative agreements with AltaGas and TransCanada. The coal transition payments were recommended by energy consultant Terry Boston, who was hired by the Alberta government to help with the transition away from coal. The payments, totalling $1.1 billion in 2016 dollars, will be funded by carbon emissions payments made by industrial emitters, not from what consumers pay for electricity, the government said. They will be based on the net book value of each company's assets. In a news release, Capital Power said it would receive $52.4 million a year, or $734 million over 14 years. The three companies have agreed to keep their head offices in Alberta, continue investing in the province and support their employees through the conversion process with government. 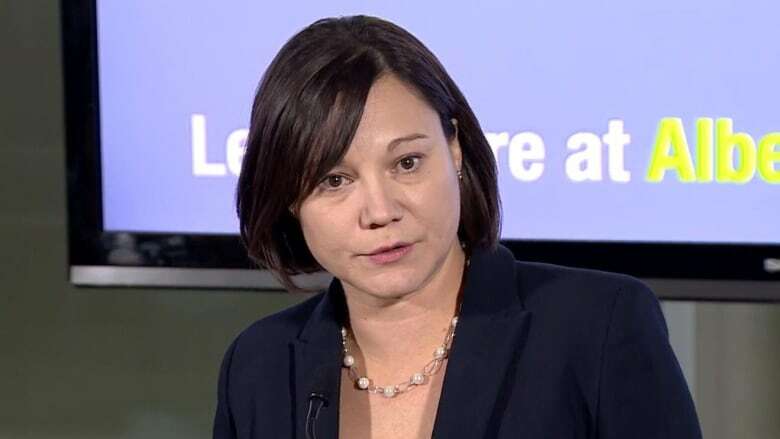 "These transition payments will also encourage these long-standing Alberta companies to keep investing in our province," said Environment Minister Shannon Phillips. Phillips said the federal government's decision to accelerate coal-plant shutdowns by 2030 means Ottawa could make funds available to help with the transition. Alberta has 18 coal-fired power plants. Six had expected to operate beyond 2030. The newer units can likely be converted to natural gas co-generation plants. Boston said that conversion can help replace some of the jobs lost to the coal phase-out. "That will provide jobs, both construction jobs and operating jobs, locally. Ultimately those jobs would not be as large as you would have for a coal plant," he said. Other jobs could be created as companies move to wind and hydro operations, he said. Wildrose electricity and renewables critic Don MacIntyre said there was little information on how the people who will lose their jobs will be supported nor were there details on what the companies have been asked to do. He said the plan also doesn't take into account other costs. "There is a true social cost of today's announcement in lost jobs, small businesses that will now have to close down and for individuals who have seen the values of their homes drop," MacIntyre said in a news release. "The NDP government is directly responsible for causing not only chaos for these communities but for the electrical system that will have to get a lot more expensive to replace these plants." At Thursday's announcement, the government said it has settled part of its lawsuit, filed last summer, to prevent companies from returning their PPAs to the balancing pool. As part of that settlement, Capital Power will pay $39 million to the balancing pool. The PPA, which was transferred to the balancing pool earlier this year, will remain with the balancing pool. In return, Capital Power has been dropped from the litigation filed by the government last summer. No details were available about the agreements with AltaGas and TransCanada, which were reached Thursday. The Alberta government is still talking with ENMAX, the last party involved in the lawsuit. The government alleged that during the deregulation process, a last-minute clause was forged in secret by the Progressive Conservative cabinet of the day, under pressure from defunct energy giant Enron. The government wanted a court order declaring that clause void.